In 2016 Failte Ireland estimated that over 130,000 overseas visitors to Ireland engaged in angling. Recognising the abundance of river stretches and lakes on offer to angling tourists the four counties organised events targeted at accommodation and service providers. The events explored how to maximise the potential for attracting angling tourists to the region and offered practical advice to those in the tourist industry on how to tailor their product. The events were organised with the support of Inland Fisheries Ireland and in conjunction with Waterways Ireland. 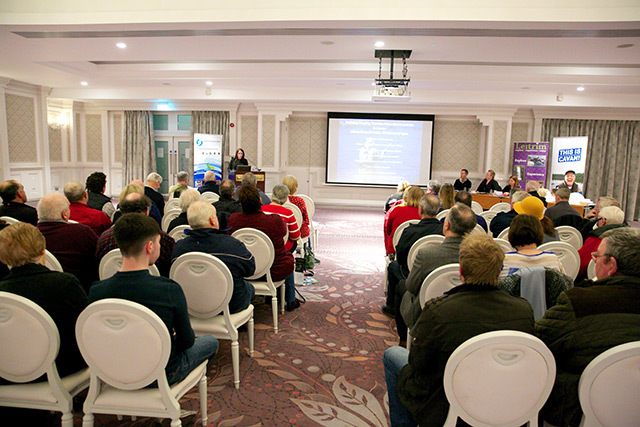 On Tuesday 20 February 2018 a Leitrim and Cavan focused event was held in the Slieve Russell Hotel while Keenan’s hotel was the venue for the Longford and Roscommon focussed event the following evening. The events highlighted the unique needs of angling tourists such as access to drying rooms, bait storage and irregular meal times. Waterways Ireland outlined the importance of service providers working together to offer complete packages for visitors such as transport, accommodation, equipment hire and local knowledge on locations for angling. Inland Fisheries spoke about the potential for a long tourism season for those marketing to angling tourists. Angling tourism is not confined to summer months therefore offering a longer season to those in the industry. 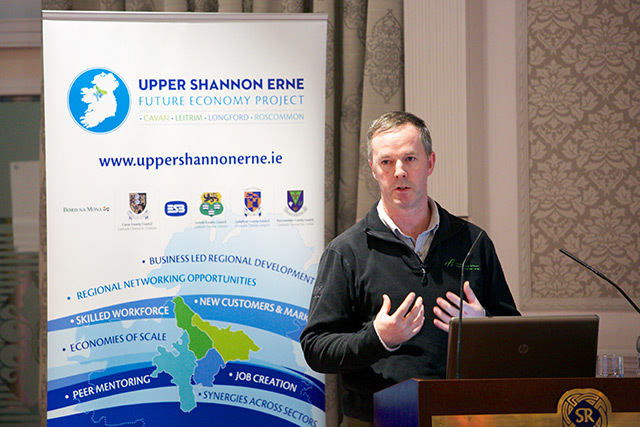 The events were held under the Upper Shannon Erne Future Economy Project. This is s a partnership project between four local authorities, (Leitrim, Roscommon, Longford and Cavan) ESB, and Boad na Mona and has a number of working groups.